The Salvation Army is taking donations now for relief efforts it will be undertaking in the coming days and weeks. Please click on the link and help them in this. Thanks. The Salvation Army is in Japan (and has been since 1895) and helping with disaster relief. The best way to help from here is with cash; it’s much easier to transmit there, doesn’t spoil, doesn’t require expensive and slow shipping, and can be put to just the right use. There are 4 ways to contribute money to the Army’s relief efforts in Japan. Text the words “Japan” or “Quake” to 80888 to make a $10 donation. I grew up in cities like Syracuse, NY, Pittsburgh, PA and Cleveland, OH. I learned to drive in Cleveland in January. I know how to drive in wintery weather. Now, part of that ability to drive was partially contingent on the snow removal equipment of those cities. They got lots of snow and had the plows and salt to deal with it. Even with that, though, sometimes you still wouldn’t see the lines on some major roads in Cleveland for a couple of months. In some years, the plows kept the mounds of snow off to the side and the streets level, but the only lanes were those made by the tire tracks of previous travellers, so it wasn’t always asphalt you were driving on. You had to learn how to navigate in the snow. But driving on snow and driving on ice are quite different, and driving on ice requires quite a bit more care. If the roads were snowy, and the temps low, you could generally get around up north. Still, snow tires were always a good idea. If the roads were icy, snow tires or not, you had a decision to make; stay home or brave the ice. I say "up north" because nowadays I’m down south. This past weekend, the weather folks knew that the perfect snowstorm was coming our way. A low pressure system was throwing moisture up our way, and frigid temps were coming down from the north, and, depending on where you were, you could get 7 inches of snow (extreme northeast Georgia). In the metro Atlanta area, the Sunday afternoon before it hit they were predicting 2 to 3 inches. At 9pm, on cue where we were, the flakes started coming down. One hour later, by 10pm, we had those 3 inches already, and the snow continued to come. Three inches an hour is serious even by northern standards. By the morning, we measured the snow on my deck at 5 inches. And later that morning, sleet put a nice crust on the snow. And the streets. Now, up north, the trucks would’ve been out in force and things might have returned to almost normal. But down here, there are a few things working against a quick return to normal. Plow and salt trucks are very expensive to maintain. A huge majority of that money would be wasted if the city of Atlanta had the same size fleet as Pittsburgh or Syracuse. Thus, for something that used to happen once every 5 years (according to native Atlantans), it made no fiscal sense. The temperatures down here don’t stay significantly below freezing for any length of time. Two things come from this. First, the snow and ice usually melt away pretty quickly, so after one day or so it’s typically all gone anyway. But if it’s not gone, the temps will stay close to freezing and thus melt during the day and freeze during the night, turning the streets into ice rinks. And like I said, even northerners rightly think twice about driving on that. And you typically can’t buy snow tires for any price down here. Tire stores have no reason to take up warehouse space with them. So generally, it takes a much smaller amount of snow down here to shut the city down than it does up north. This particular snowstorm has been particularly tough for a few reasons. In addition to the speed at which the snow fell, and thus putting our ‘fleet’ of snow removal equipment at an immediate disadvantage, there was a layer of warm air in the upper atmosphere that developed and gave us the morning sleet, coating snowy roads and making travel extremely dangerous. Cars have mostly stayed off the road, but trucks have had to continue, and the number and locations of so many jack-knifed 18-wheelers have essentially shut down interstate 285, the circle around Atlanta. At one point yesterday, I-285 from about the 3 o’clock position to the 8 o’clock had half a dozen problems, many of them shutting down the highway in one direction or the other. Trucks who’s destination is not inside 285 are normally required to take 285 around the city. Today, they’re telling everyone to stay off 285 because it’s such a parking lot, and allowing trucks through the city. And of course, not a snow tire to be had, so people will stay off the roads. Salt and sand on the roads get the clearing started, but actually, traffic over those roads help those elements do their job. But there is precious little traffic out there because we have neither the properly equipped cars, nor (in the case of many native Atlantans) the skill to navigate the roads. And those of us who can navigate would rather not be out there anyway. Compounding this is the fact that, between now and Saturday, the number of hours that the temperature will be above freezing can be counted on two hands, and overcast skies will keep the Sun from helping out today. We’re stuck with this situation, in one form or another, until the weekend. Needless to say, the local TV stations been plastered with weather and traffic news. The news of the recent apparent assassination attempt on a US Congresswoman has only barely peeked through that. The usual busy roadways are virtually silent at rush hour. We’ve been getting the most out of our first free month of streaming movies on Netflix. And so please understand the tweet by the Atlanta Journal-Constitution Sunday editor when he wrote, "Dear northern transplants, we don’t care how much snow y’all got back home. 5" is a lot for here. Love, Atlanta." I’ll admit, I had a bit of that attitude when I first moved here. I understand it now. Oh, and by the way. Just today, our company president, based in Boston, sent out a warning to employees in the northeast US that they may want to work from home tomorrow. They’ll be getting twenty inches and wind gusts up to 50 miles per hour. Hey, there are storms that even Boston folks stay home for. On Christmas Eve, we have a number of traditions that are a combination of things from my family, from my wife’s family, and some we started. There’s typically a Christmas Eve service at the church. This year my 3 youngest are reciting Luke 2:1-20 — the Christmas story — while kids from the children’s choir are acting out story itself. When we return, we’ll open up one gift each, although which gift is usually determined by other — you don’t get to pick yourself — so it’s not going to be that big thing in the corner. He is full of grace. He is full of compassion. He is meek and lowly of heart. He is a friend of sinners. He is familiar with suffering. He is a wonderful counselor. He’s a father to the fatherless and a husband of widows. He is the father of compassion and the God of al comfort. Yes, He is full of Grace. Have you received from Him lately? Each paragraph highlights a characteristic of God from which we can receive from His fullness; His provision & care, His wisdom and revelation, His forgiveness & redemption, and His full life. But the question always is; have you received from Him lately. In this world we’re often asked, "so what have you done for me lately?" God wants us, desires us, to ask ourselves, what have we received from Him lately? He has so much for us that he wants to give us if we’ll only ask. The last thing we do before heading to bed is play Mannheim Steamroller’s "Silent Night". Before I play it, I ask folks to think about those who are far from home on this night; missionaries, soldiers, people on the road. Also, think about those we may be missing on this particular night; family and friends that are away from us. It’s a time to remember those not present on this night, and to ask God to watch over them wherever they are. Enjoy your Christmas traditions. Sometimes they’re silly (e.g. 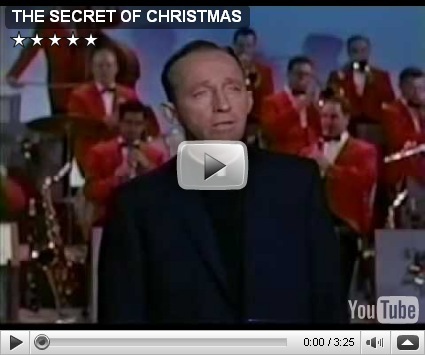 my previous Christmas Adam post) and sometimes they’re sacred. Enjoy your time with your family and friends, and make sure that Jesus is there with you in everything you do, silly or sacred. He’d love that. I have Multiple Sclerosis, and have had it for a bit over 23 years. The first episode I had numbed the left half of my body from the shoulder to the foot. With medication it went almost entirely away, with just some slight lingering numbness in my left hand that I could handle. Other smaller episodes of it coming and going occurred for some years after that, but then it left for about 10 years (again, with those initial leftovers being the only hint of it) until 2006, when I had a larger episode. I recounted that time in a previous blog post. As I said back then, the treatment in 2006 was much different than in 1986, and I got back most of the feeling in my right arm. This still left some numbness in my right hand, which, while more so that what was in my left hand, still allowed me to touch-type (and being a programmer, typing is essential). I also had numbness in my feet and lower legs, but the treatment removed most of that as well. One of the things I’ve considered on and off over the years was asking God to heal me. I was a little hesitant, however, because, as I noted in the other post, God had already made it very clear to me that He could do it, He just wasn’t doing it at the time. Fair enough; I could live with that. And in living with that, I got the idea that I shouldn’t pursue that, other than the occasional requests for healing at our church. I would be prayed over, but I never really expected something instantaneous because I figured He’d do it when and if He wanted. And indeed, nothing much ever happened. But this summer, I began to get this desire to really pursue a healing from God. Part of it was realizing that I was really unable to participate in my older son’s Boy Scout events, and that my younger son was hitting his Cub Scout Webelos years. Part of it was I was just plain tired of the whole MS thing. But a big part of it was that I came to the realization that God didn’t necessarily want this for me either. He could certainly work through it, and He had. (God’s hands are not tied because of mere sickness.) But I felt now that He wanted me to really pursue Him and a healing. 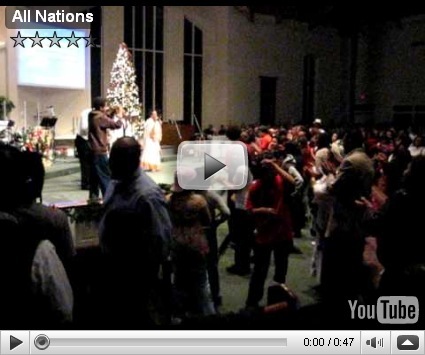 A video from my church’s All Nations Christmas Festival. This group is from the Eretrean congregation. It includes their pastor. That night also included Christmas celebrations from our Spanish, Vietnamese, and Asian Indian congregations, as well as groups that were French African. That was a great night. I have some blog posts on automatic this morning, but don’t let that fool you. I’m spending the day cleaning up after last night’s torrential rains sent water into my basement. Never mind the last 5 days of rain (which is hard to do), last night’s storm was huge all on its own. My across-the-street neighbor’s pile of gravel got displaced by the torrent. The fence between my house and one of my next-door neighbors apparently had a river going through it, because pine straw, pine cones and leaves from my trees got caught on the fence. And add to that the rain we’d had that had swelled creeks and ponds already, and flooding is a big issue today. Roads over creeks that are never closed due to flooding are closed today. As Pooh would say, "Oh bother." No, it’s not the title of a new soap opera. Just some thoughts on the inevitable change all parents go through. I had a "first" for Father’s Day this year; the first time one of my kids called me for Father’s Day instead of being here for it. She’s working at summer camp in this time between high school and college, so we’re getting a bit of a trial run of the whole "away at college" thing. I remember when I went off to college and my parents wanted me to keep in touch. No cell phones then, never mind having free nationwide long distance, and they knew how often I wrote letters (almost never), so they gave me a tape recorder and asked me to keep in touch that way. They knew their son well. The recorded "letters" started out pretty sedate, but wound up like a radio show with its own theme music, and the tape recorder (about the size of a large paperback book) went with me all over the place and caught some very interesting moments. At first, I found the chronicling of my college life for them rather tedious. When I made it fun for me, then it happened more often, but still; hey, I’m at college and I’m OK, so what’s the big deal about keeping in touch? When we’d all come home for Christmas or Spring Break or a week in the summer, my dad would get all dramatic on us. "Isn’t it great to have the whole gang together again" and/or "How many more times will we be able to do this" would come up now and then. Early on, I didn’t quite connect with the sentiment. So now it’s my nest that starts emptying. Since I was the oldest in my family, I never felt what it was like to have less than the full compliment around the dinner table, so this is going to be new for me, and not just because I’m the dad now. Family dynamics will change, I’m sure, and actually I’ll be interested to see how. But after all these years in pretty much the same situation year to year, what’s "normal" is now changing. This is the new "normal", and there ain’t no going back. Yeah, I’m a little melancholy at the prospect, but hey, it’s time for a change, and I’m excited to see what’s coming.